Watching horses grazing peacefully outside the back door is for many, a dream come true. But, while the image of rolling hills and white fences is easy to conjure up, finding an equestrian property in the Nashville area can be challenging. 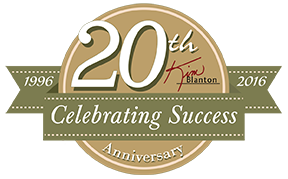 Whether you are searching for a mini-farm, a training/boarding facility or an equestrian estate to purchase, Kim Blanton can assist you. This site allows you to search for horse properties anywhere in Middle Tennessee including Nashville, Hendersonville, Goodlettsville, Gallatin, Brentwood and Franklin. These pre-built, custom searches are designed to specifically find turn-key and semi turn-key farms. Most other sites only find the land, but as you know, not all land is suitable for horses. 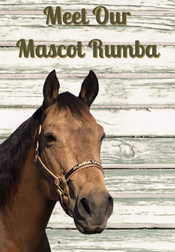 Additionally Rumba's Pasture Picks delivers the newest equine listings with just a click of a button. It is extremely helpful to use a knowledgeable equestrian real estate agent who knows what to look for and what your horses will require. This usually means using a REALTOR® who owns horses and rides and works with them on a regular basis. 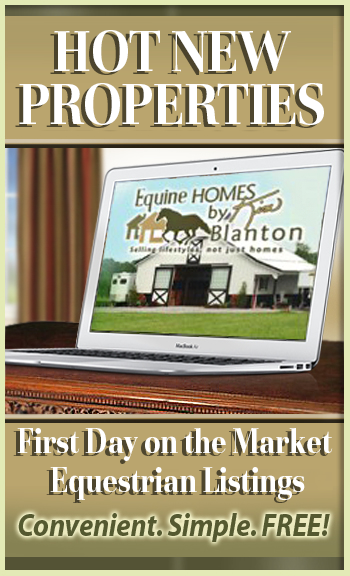 If you are a "horse person", then you want your REALTOR ® to locate suitable properties on your behalf. A small 5 acre property, heavily wooded, with a steep slope down the back side, is not what a horse needs. Many properties in our area have unusable acreage and knowing this can save you valuable time. If you are new to our area, or a Nashville area resident, be sure to take a look at my new All Things Equine Business Directory located on the VENDOR tab above.